Some states utilize magistrates as part of the divorce process, also known as dissolution of marriage. The magistrate is usually an attorney and can be looked at as an assistant to the judge, who has been delegated certain responsibilities. These responsibilities are usually limited and might include deciding temporary matters that last only until the divorce is granted, such as temporary custody and alimony, or helping spouses that are not represented by an attorney get their case organized and ready for trial. Note that although magistrates can make findings and recommendations, only the presiding judge can issue orders that are binding on you and your spouse. If your case is referred by your presiding judge to a magistrate, you likely will receive notice of this event through a referral order. Some states require that you and your spouse consent to the transfer, meaning that either party may object to the order within a certain time frame after receiving notice, such as 10 days. If an objection is made, this means that the magistrate will not hear your case and you will wait for the judge to have an opening in her schedule. If no objection is made within the time period, both parties are considered to have consented to the transfer. In other states, the referral can be made with or without consent. Once the referral has been made, you most likely will have a hearing in front of the magistrate. Here, you and your spouse can submit evidence and question any witnesses you have. After the hearing concludes, the magistrate then makes written findings and offer his recommendation for how the judge should rule on the matter. If you and your spouse agree with the magistrate's findings and recommendation, the judge will usually sign off on the report and it will become a court order. If you disagree, you may file a written objection. States typically require that the objections be filed within a certain time period, such as 10 or 14 days after the findings are made. The judge reviews the transcripts of your hearing to determine whether the magistrate's findings were supported by the evidence. 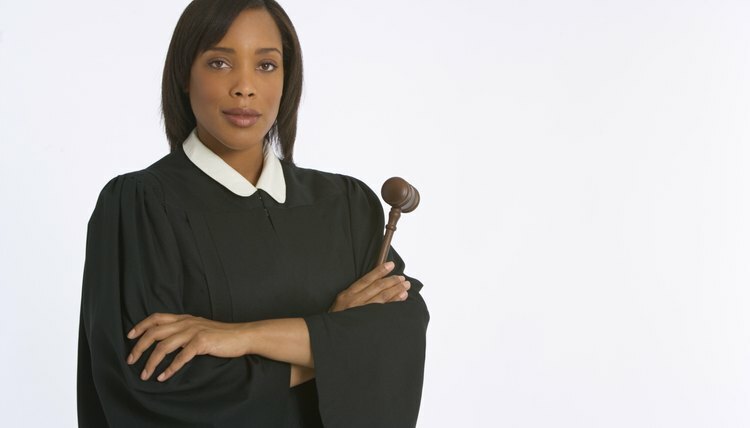 If the judge disagrees with the report, you may be required to go through another magistrate hearing. Wood Atter & Wolf: In Florida, Why Your Case May Be Heard By a Magistrate When Dealing With a Divorce, Modification or Paternity Case? Can I Still Get a Divorce if My Spouse Does Not Show Up at the General Magistrate Hearing?